2019 January 17: You’re in for a fun scare as Sony Pictures Home Entertainment unleashes GOOSEBUMPS 2 on Blu-ray™ & DVD Available Now! Based on the best-selling book series by R.L. Stine and starring Wendi McLendon-Covey, Chris Parnell and Ken Jeong :GOOSEBUMPS 2 You’re in for a fun scare as Sony Pictures Home Entertainment unleashes GOOSEBUMPS 2 on Blu-ray™ & DVD Available Now! I was quite excited to see this movie and it’s really a must-see! It’s now available on Blu-ray™ and DVD since January 15th! I loved the characters in this movie and it’s perfect for family movie night! It may not be for the youngest of children due to some scary creature action and images, some thematic elements, rude humor and language. It is rated PG. This movie will definitely entertain! GOOSEBUMPS 2 has a run time of approximately 120 minutes. Look for it at a store near you. Check out this bonus clip! Self Disclosure: I received a free copy of the DVD to facilitate this feature. Press info and Images were also provided for posting purposes. No other compensation was received to post. Los Angeles is a city filled with many things to do. Here are 5 things to do in Los Angeles with your kids on your next visit. When it comes to tourist destinations, Los Angeles is a monster. The city keeps breaking its own tourism records, and in 2017 boasted 48.3 million visitors, a 2.2% increase from the previous year. This makes sense, given the city’s rich history, cultural diversity, and size. But what if you’re traveling to Los Angeles with your kids? If you’re planning your next family trip and want to see Los Angeles, your children won’t be disappointed. There are plenty of things to do in Los Angeles with kids. Let’s go over five activities you can’t pass up. What kid wouldn’t want to go to a place where movies and television shows come to life right before their eyes? This is what happens at Universal Studios Hollywood. Here you can take an unforgettable tour and get a behind-the-scenes look at the film-making process. As an added bonus, theme park rides get integrated into the experience. If your kids are Harry Potter fans, they’ll love The Wizard World of Harry Potter and all its shops and activities. This isn’t your average park. A trip to the 4,200-acre Griffith Park is an all-day affair you can’t miss. You’ll need to plan your day in advance, as Griffith Park has quite a few attractions. Gaze into the unknown at the Griffith Observatory or hit up the Los Angeles Zoo. Your family can also hike, visit museums, and check out the Greek Theater, all within the park. The California Space Center in Exposition Park combines education and wonderment. You and your kids will enjoy the exhibits at the life science and aviation museums along with learning about the history of human innovation. However, the highlight is the Space Shuttle Endeavor, which calls the California Space Center its home. Let your kids get close up and personal with the shuttle for only $2 a ticket. 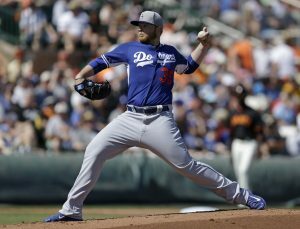 If your kids are baseball fans, you don’t want to miss a chance to see a game at the historic Dodgers Stadium. The stadium, which opened up in 1962, is one of the most famous old-school ballparks still in operation today. Make sure you buy tickets in advance and be prepared to spend a little. In fact, if you’re looking for budgeting advice, this moneyspire review will help. Don’t worry, though, the experience is well worth the price. No trip to L.A. is complete without enjoying the coastline, and the Santa Monica Pier is a great way to take it all in. Take our word for it – this is no ordinary pier. There are countless things to see and do, including shopping, grabbing a bite to eat, and hitting the free amusement park. Don’t forget to take the kids to the popular Santa Monica Pier Aquarium. It doesn’t disappoint. Don’t hesitate to take the entire family on a trip to the City of Angels. There’s something for everyone, including the youngsters. Keep this list of things to do in Los Angeles with kids handy and have the time of your lives together. Check out more articles for vacation tips and destination advice you won’t want to miss. Philip is a disabled white billionaire, who feels that life is not worth living. To help him in his day to day routine, he hires Del, an African American parolee, trying to reconnect with his estranged wife. What begins as a professional relationship develops into a friendship as Del shows his grouchy charge that life is worth living. KIDS FIRST! Film Critic Arjun N. comments, “The Upside is a wonderful, but very contrived remake of the French classic: The Intouchables. The superb main duo makes for a variety of heartfelt and well-found laughs.” See his full review below. 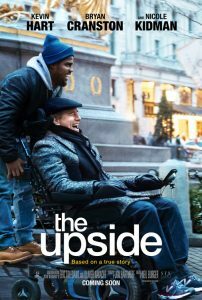 The Upside is a wonderful, but very contrived remake of the French classic: The Intouchables. The superb main duo makes for a variety of heartfelt and well-found laughs. Anyone looking for a packed “January movie” will find a perfect outing. Inspired by an incredible true story, the movie follows a recently released ex-convict named Dell (Kevin Hart), as he seeks employment to do right by his family’s financial needs and regain their trust. He finds the most unusual employment with an offer to care-take the paralyzed billionaire Phillip (Bryan Cranston). Most don’t believe in Dell’s capabilities, especially chief executive Yvonne (Nicole Kidman), with Dell failing, but slowly learning to care-take. Amidst this process, Dell and Phillip form an unlikely friendship and journey, bettering themselves. Kevin Hart, as Dell, is my favorite character, as he steps into newfound dramatic territory and delivers exceptionally. As always, his unique sense of humor remains and he is as better than ever with the amicable chemistry he shares with Bryan Cranston. Bryan Cranston, as Phillip, delivers a gravitas to his character when needed, as his condition makes him hopeless. In only a way Cranston can deliver, his journey to regain hope and optimism through Dell is very compelling. It also helps that their unique banter is just so funny and intellectually executed. Nicole Kidman, as Yvonne, is another relatable character, as even she learns to smile from Dell, despite her disagreements. Her long history with Phillip is well sold, as well. Neil Burger serviceably directs the movie, with a great eye for scenery, even if many scenes fall within a repetitive layout at times. My favorite scene is the haircut scene, as it is a fun rendition of the classic French scene and even has more nuances of its own. The main problem with this movie comes from the fact that, in comparison to its French counterpart, there really isn’t much of a difference with a few scenes and characters having some subtleties. At times, its pace even takes a hit and even the newer additions don’t fare as well as the original. This can be viewed as a bit of a pro, as sticking with the original does prove to its advantage. The message of this film is that a friendship is a relationship most valued and will always remain irreplaceable. If we all get along, we will strive towards greatness and a happier mental well-being. I give this film 4 out of 5 stars and recommend it for ages 10 to 18, because of some sexual references and brief drug use. The movie releases in theaters on January 11, 2019, so check it out. Dulce, Jan. 17th Pet of the week! Dulce means “sweet,” but it could also mean “smart” as well. 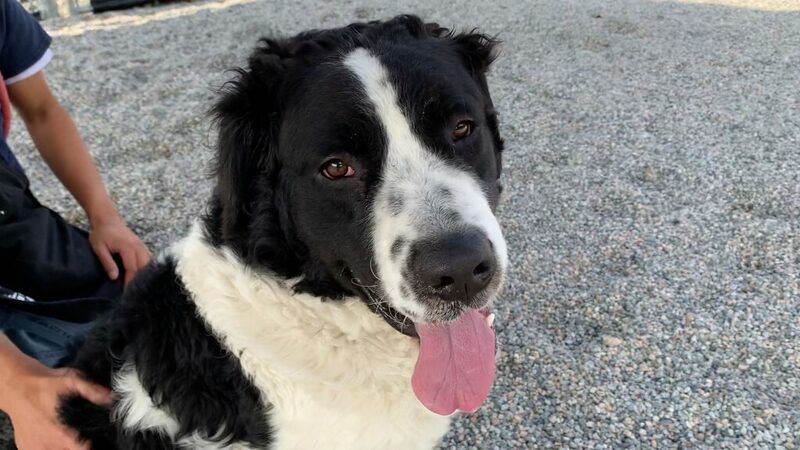 And “silly,” and “soulful.” We could go on about how many beautiful words beginning with s describe Dulce, but we’ll just explain that she loves a good romp, sits at attention for a treat, and rolls around with glee in our doggie play yard. Plus, she’s snuggly! There we go again! Meet this year-and-a-half girl at the P. D. Pitchford Companion Animal Village, 7700 East Spring St., (562) 570-PETS. Ask for ID#A614098. Credit: P.D. Pitchford Animal Village.